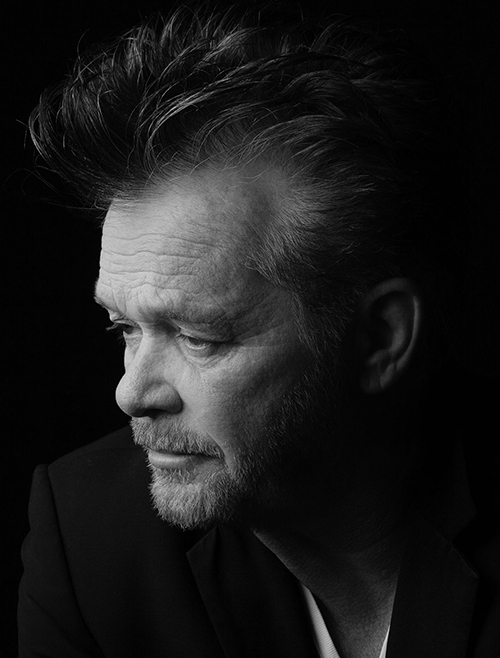 Throughout his career, John Mellencamp has had to fight, whether it was for the right to record under his own name or for respect as an artist. Of course, he never made it easy on himself. Mellencamp began his career in the late '70s as a Bruce Springsteen clone called Johnny Cougar. As his career progressed, his music became more distinctive, developing into a Stonesy blend of hard rock and folk-rock. His musical development coincided with his growth in popularity -- by the time "Hurts So Good" and "Jack and Diane" became hits in 1982, Mellencamp had created his own variation of the heartland rock of Springsteen, Tom Petty, and Bob Seger. While he had the record sales, it took several years before rock critics took him seriously. For some artists, this would be easy to ignore, but Mellencamp had the desire to be a serious social commentator, chronicling the times and trials of Midwestern baby boomers. Scarecrow, released in 1985, fulfilled his wish of being taken seriously, and his subsequent records were greeted warmly by critics. Furthermore, he sustained his popularity over the ensuing decades, only occasionally experiencing dips in record sales. While he had commercial success, Mellencamp made his bid for critical acclaim with his next album, 1985's Scarecrow. Scarecrow displayed a greater social consciousness and musical eclecticism, resulting in his best-reviewed -- as well as his biggest -- album to date. Peaking at number two, Scarecrow generated the Top Ten singles "Lonely Ol' Night," "Small Town," and "R.O.C.K. in the U.S.A." Following the release of Scarecrow, Mellencamp became an outspoken advocate of the American farmer, organizing Farm Aid with Willie Nelson and Neil Young. He also became known for his anti-corporate stance, refusing to accept tour sponsorship offers from beer and tobacco companies. Mellencamp developed a spirit of camaraderie with singer and songwriter Carlene Carter during the Ghost Brothers of Darkland County sessions and on the score he composed for the film Ithaca. She was his opening act on the Plain Spoken tour as well. They began working together and jointly performed two songs on the tour -- "Indigo Sunset" and "My Soul's Got Wings" -- hinting at a more formal future musical partnership. The pair began to record at his Nashville, Indiana studio. About half the tracks were sung as duets. The finished album, titled Sad Clowns & Hillbillies, was billed to John Mellencamp featuring Carlene Carter and was released in April 2017; it debuted at 11 on Billboard's Album charts. In December, Mellencamp issued Other People's Stuff, a collection of covers, many previously released; it debuted at seven on Billboard.